If you’re looking for a home large enough to host guests, entertain, or just stretch out in, and with plenty of class and sophistication, look no further. 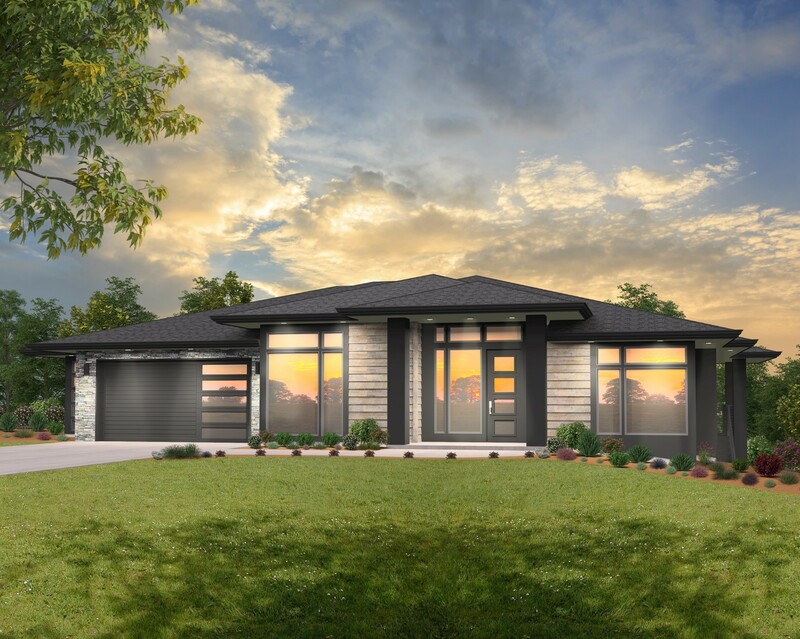 At Mark Stewart Design we’re pleased to offer you Burma 2, an excellent 4 bedroom, 4 bathroom, 3,500 square foot house plan. This custom design has all of the great features that comprise our signature northwest modern style. On the main floor of this home you will be welcomed by the 11 foot foyer which is flanked on the left by a large den/guest room, and on the right by a spacious dining room. Head through the foyer and past the staircase, and you arrive at the sprawling great room and kitchen, complete with massive island. The great room opens up to connect to a multi story outdoor living area, complete with outdoor fireplace. Through the back of the great room you arrive at the master suite, which comes with his and hers sinks, standalone tub and shower, walk in closet, and private toilet. Heading downstairs, you’ll be greeted by the very generously sized rec room, which is supported on either side by two large bedrooms. The rec room also has a fireplace and connects to the two story outdoor living area. This is truly a unique home, and not one to be missed. Are you interested in learning more about this design contact us today at (503) 701-4888 or connect with us online! Besides this great design we also offer a wide variety of other house plans to choose from including: craftsman, farmhouse style designs, bungalow and so much more! We have all of the designs that you’ve been searching for!